Little Foot is the beast child of Sasquatch Kick Machine. It is super lean and simple to use. It lets you get deep kick drums without any fuss. While it doesn't have all the features that Sasquatch Kick Machine has, it has plenty of control to get deep thump out of any kick drum. 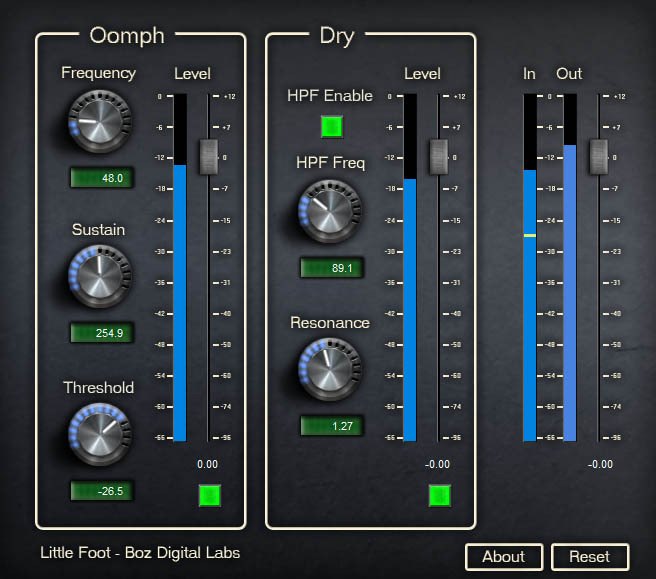 Add Oomph to your kick drum in seconds. Easily go from simple natural enhancement to over the top sustain.